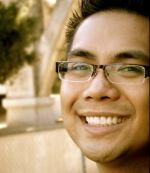 Jean-Paul R. deGuzman holds a Ph.D. in History from UCLA and is currently a postdoctoral scholar at the University of California Center for New Racial Studies. Grounded in 20th century US history, he is a comparative race historian working at the intersections of racial formation, urban development, and oppositional politics. His current book project explores the nexus of community building and people of color activism in Southern California’s San Fernando Valley. In addition to this work, deGuzman has published on topics such as Black and Japanese American Cold War-era activism, the 1992 Los Angeles Uprisings, and the unanticipated personal consequences of archival research. Overall, his research interests also inform his teaching agenda and in 2013 he received the UCLA Distinguished Teaching Award.